Hello guys. This is the 64th installment of our Samsung Galaxy S3 troubleshooting series where we answer the questions sent by our readers via email or social media. For our readers who asked us if Galaxy S3 can run Android 5.0 Lollipop, yes it can but the firmware should be modified. Actually, there are already existing custom ROMs for the S3 that are based on Android 5. However, you need to have the phone rooted first. For those who have just tuned in and currently bugged by a problem or two, feel free to email us at [email protected] and we will help you fix your problems or find answers to your questions. We, however, ask you to provide as much details as possible so that we can accurately assess your concerns and provide appropriate solutions. You may also post on our Facebook wall and/or Google+ page. After you did the procedure and the error message still persists, it’s time you wiped the cache partition. 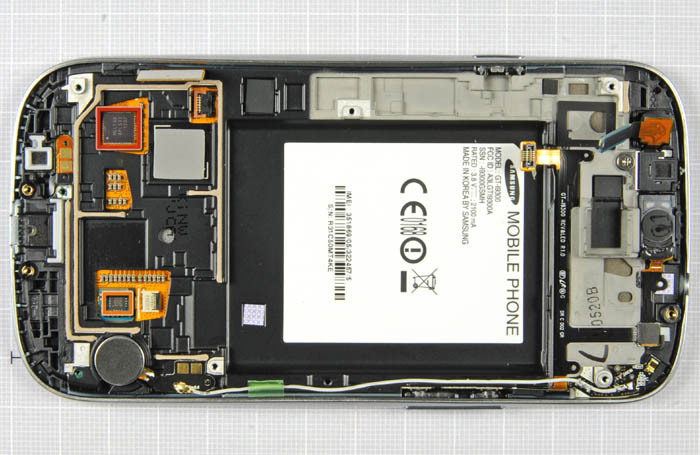 While your phone is on, simply remove the back panel and remove the battery for just a minute. Press the Volume Up, Home and Power button at the same time. When the phone vibrates, release the Power button but continue pressing the other two until the Android System Recovery screen appears. Use the down Volume button to highlight ‘wipe cache partition’ and press the Power button to select it. After doing the ‘wipe cache partition’ highlight ‘Reboot system now’ and simply press the Power button to reboot your phone. This procedure often fixes problems like the one you currently have. Solution: Hello John, thank you for the time you spent explaining your problem. Whether it is a major issue or not, well, I’m not really sure what’s the cause of the issue but I suspect the battery of your phone is defective. That’s often the case. You can simply plug the charger in, and wait for about 5-10 minutes until the charging icon displays. If it’s not showing up, you can remove the battery and then press and hold the Power button. By simply doing this procedure all stored electricity from the electronic components will be discharged. After that, put back the battery and connect it to the charger and observe if the charging icon will show on the screen. To troubleshoot further, you can also try to connect your phone to the computer and wait if the charging icon will show-up on the phone screen. If not, try using a different USB cable to rule out the possibility that the charging problem isn’t caused by a damaged or cut cord. After doing it and the charging icon still doesn’t show on the screen, try to power it’s time to try a different battery. There’s a big chance the battery is busted and can’t hold a charge anymore. If the problem persists, however, send the phone in for repair. Solution: It would have been more helpful if you included the name of the browser you’re using but since you didn’t, I would assume you’re using the stock one. The issue seems like you opened a lot of windows or tabs so that’s why your phone cannot anymore open another window. So, try to close existing windows first, then open the page again and tap on the link to see if there’s a difference. Scroll to and tap on the browser you’re using. Tap Clear Cache and then Clear Data buttons. After doing the steps mentioned above and if you have the same issue, as a workaround, you can install a different browser from the Play Store. Or, you may perform factory reset. Solution: Hi Mark, our team is glad about the issue that you’ve sent with us. Well, the first issue that you have seems like there’s a minor glitch in the email app you’re using. One way to address this is to re-setup your account but in order to effectively do this, clear the cache and the data first. I recommend you try this: go to Settings˃ Application Manager˃ All tab˃ Email˃ Force Close, Clear Cache, and Clear Data. Please note that following these steps may delete your settings and also the messages saved in your phone. But for now it seems like you don’t have much of a choice but to clear your cache and data. Regarding your Wi fi issue, there’s a lot of reasons why you’re unable to connect on Wi fi. To address this problem, I recommend you to try rebooting your network devices such as your modem and router. If your phone still can’t connect on Wi fi try to go to Settings˃ Connections˃ Wi-Fi and tap the Menu key and set “Keep Wi-Fi on during sleep” to “Always.” Furthermore, don’t forget to turn Wi fi t power save mode off. Solution: It seems like there’s a problem between the Instagram app and the firmware of your phone; more often, it’s compatibility issue. The best thing that you could do is to clear the cache and data of Instagram. By doing this, you may lose some of your data , so make sure to backup all your data before hitting the button. After that if you can still encounter the same issue then you can force close the app and clear the cache and data again. After doing that, and the issue persist then you can simply uninstall and reinstall the app. If the problem is with the app then the uninstalling and reinstalling can fix the issue. Tap the Menu key and select Call Settings. Choose an option that says “Use extra vol. for calls,’ make sure it’s checked. Simply tap ‘in-call EQ’ to select an equalizer. Simply select an in-call equalizer that’s best fit for you. After adjusting your in-call equalizer try to see if the volume still drop’s while you’re calling. If the issue persists, then that’s the time you can go to the nearest authorized technician in your place for further checking of your phone. The problem may be related to the earpiece or the speaker. Solution: Well, you need to make sure that you properly inserted the SIM into the slot. After doing that, if the error message still showing on the phone screen then try to clean the receptors of the SIM card to get rid of corrosion if there’s any. However, after doing those procedures and the error message still shows up, then that’s the time to call your service provider for further verification of the SIM that you’re using. The No SIM card error means that the phone cannot, in anyway, detect the SIM card that was mounted on it. Either it was damaged or not properly mounted and there’s no contact between the connectors/receptors. If proven that the problem was the SIM card, your provider will give you a new one. Solution: Hi Anne, I think you have a minor issue with regards to the app that you’re using. However, many Galaxy S3 users are also experiencing the kind of issue as what you have right now. You’ve mentioned that you’ve changed your account password several times to keep your email working. As what I can see here, it seems like you need to update your email app, if possible, to avoid changing the account password every now and then. Scroll to and tap on the email app you’re using. Question: Hello, I have a Galaxy S3 and working great for 3 months now. Just yesterday morning my phone can’t anymore make and receive calls. I’m with straight talk since I bought my S3. I already reset the phone twice but after, my S3 still won’t make and receive calls. Please help! Solution: This kind of issue is very common, however, you need to call your service provider for further verification of your account. And as I can see there’s nothing wrong with your phone, and there’s no point in troubleshooting if there’s a network issue. So, you can call your service provider and tell the representative what happened so he/she can on their end. Swipe the screen gong to the left until contents of all tab displayed. Problem: Hi there, your suggestions have been great from what I’ve seen but unfortunately non have worked so let me tell you my story. I had an S3 which I sent to my mum in Cyprus as I have upgraded to an s5 now. Apparently it was not recognising her sim card and so she took it to a cypriot phone shop to get unlocked. ( I never trust those people to unlock phone. I always go to the phone provider to do it.) She said apparently he couldn’t do it through trying because the s3 had too much security. She sent the phone bak and it was working fine as it was before I sent it off. I decided to give it to my gf here in England so I factory reset it so she could go through the start up options herself. After resetting the phone (which I did three times before sending it to Cyprus so I know it was ok) the phone reset but now it will not load past the samsung screen. It just flashes Samsung over and over again. I tried your method of pressing the menu key repetitively beside the home key but that didn’t go into safe mode. I then tried the up volume, home and power key and followed your instructions there too, I even tried factory reboot again via that option yet still nothing. I’m worried the cypriot shop merchant scrambled something but surely if it returned working before I factory reset it then it should still work now? Any ideas or do I need to take it to the shop for repair? I hope to hear from you very soon as this is frustrating me. I lived my s3 and hate that it’s broken. Many thanks, Robin. Press and hold the Volume Up, Home, and Power Try to follow the order when pressing the keys. Remember, pressing the Volume Up and Home buttons if the phone is off won’t do anything until the Power key is hit. So, basically, hit the Power key last. If you can’t go into recovery mode, then it’s time you need help from a technician. Problem: Hey buddy, I am using a Samsung Galaxy S3 past 2 years and it was working as fine as it was when i bought it until last night. Troubleshooting: First of all, make sure there’s enough battery left so, charge it first. If the usual charging sign and the red LED lights up, then the phone is fine. Once the battery is full, remove it from the compartment, and then press and hold the Power key for a minute. Place the battery back in and attempt to turn the phone on. If the screen still shows black strips, it’s a display problem. You need to have it checked by a technician. Feel free to send us your questions, suggestions and problems you’ve encountered while using your Android phone. We support every Android that is available in the market today. And don’t worry, we won’t charge you a single penny for your emails. Email us via [email protected] any time. We read every email but can’t guarantee a response.